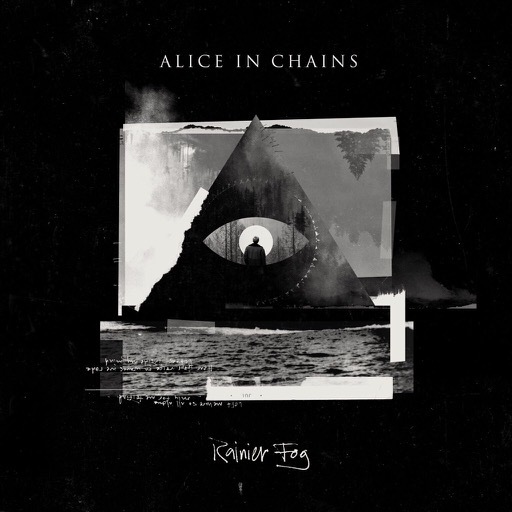 ALICE IN CHAINS - RAINIER FOG LTD. EDIT. (DIGI) | Online Shop | Wizard LTD. Album: "RAINIER FOG LTD. EDIT. (DIGI)"
ALICE IN CHAINS will release its new album, "Rainier Fog", on August 24. About "So Far Under", ALICE IN CHAINS vocalist/guitarist William DuVall says: "It&apos;s about feeling completely up against it — outnumbered, surrounded, facing seemingly unbeatable odds and being really pissed off about it. It was inspired by personal circumstances, as well as events in the wider world. But it&apos;s not as resigned to defeat as it may seem. The lyric is a cold, hard assessment of a difficult situation but the music has a message all its own. There&apos;s still room to flip the script. Every aspect of writing and recording this song will always be remembered with a lot of joy — from recording the basic tracks and the guitar solo at Studio X in Seattle to doing further overdubs at Nick Raskulinecz&apos;s studio in rural Tennessee. Everyone in the band and our studio team really stepped up and knocked it out of the park on this one. We&apos;re extremely proud of this song and the entire album." "Rainier Fog" marks a few firsts for ALICE IN CHAINS: in addition to being their first album in five years, it&apos;s their first album for BMG and their first time recording in their hometown of Seattle in more than 20 years (worth noting that the album title is a tribute to Seattle). They recorded at Studio X, the same facility where they tracked 1995&apos;s self-titled "Alice In Chains" album (back when the studio was known as Bad Animals). The "Rainier Fog" recording process also saw the band spend time at Henson Recording Studios in Los Angeles and at the Nashville studio of producer Nick Raskulinecz. "Rainier Fog" is the third straight ALICE IN CHAINS album recorded with Raskulinecz and engineer Paul Figueroa. The album was mixed by Joe Barresi (QUEENS OF THE STONE AGE, TOOL).